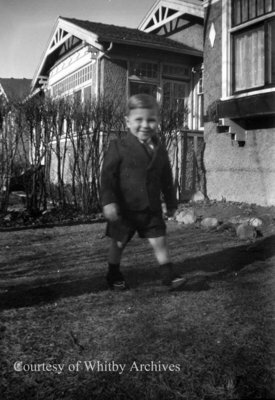 A black and white medium format negative of an unidentified young child walking across a lawn. In this view the child is smiling at the photographer. Unidentified Child, c.1940s, Marjorie Ruddy. Whitby Archives A2013_040_412.